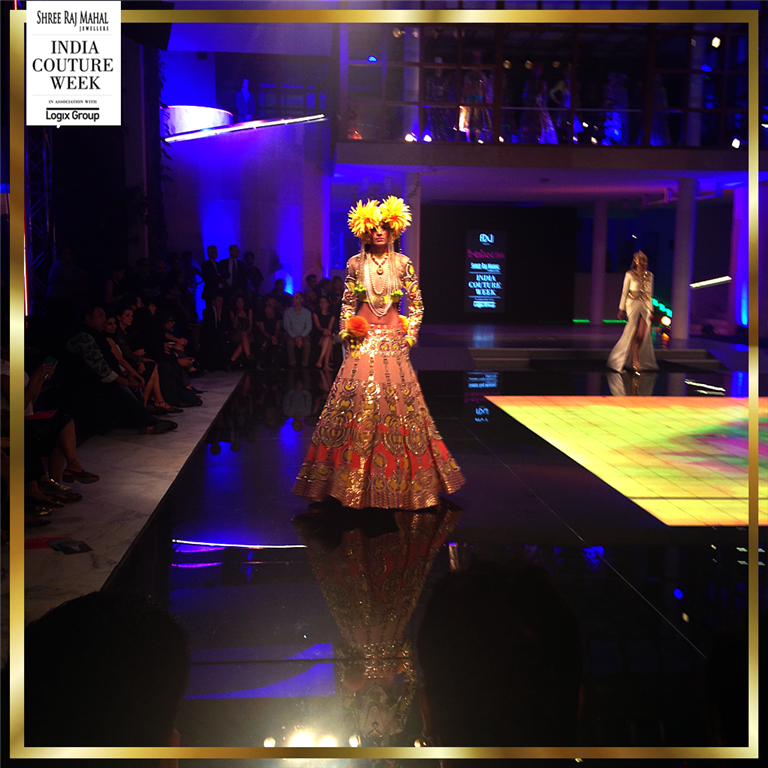 I absolutely love experimental designs and fell in love with the collection by Gaurav Gupta and Manish Arora. Both of them are known for their beautiful and unapologetic designs which speak volumes about their personal, strong identity. 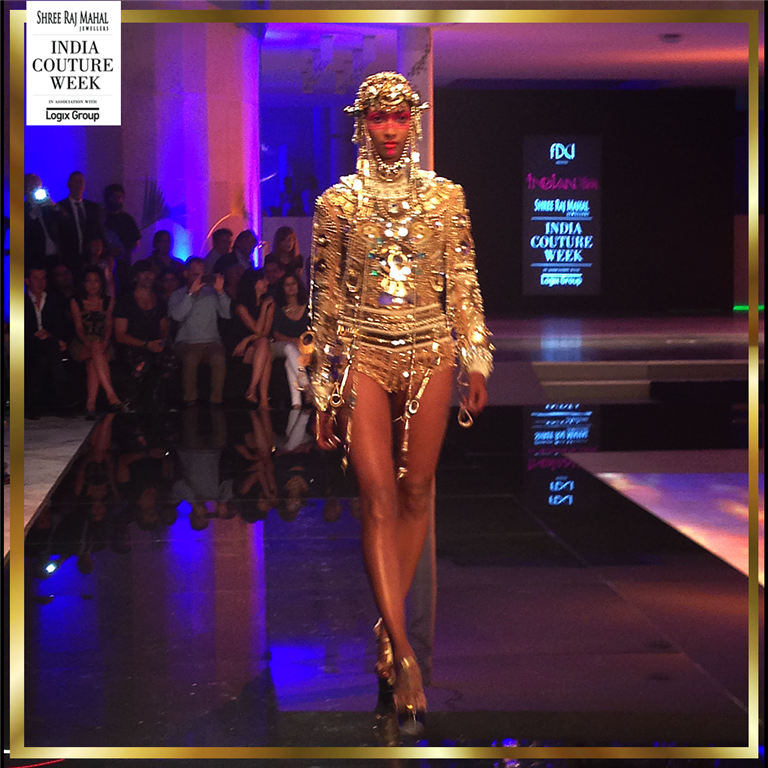 Gaurav Gupta showed his’‘Wink of NYX’ collection on day 4 of the Shree Raj Mahal Jewellers India Couture Week 2014. He picked elaborate necklaces in classic diamond and enamel work, and elegant fusion designs in yellow diamond and pearls from Shree Raj Mahal Jewellers Sondaraya collection. 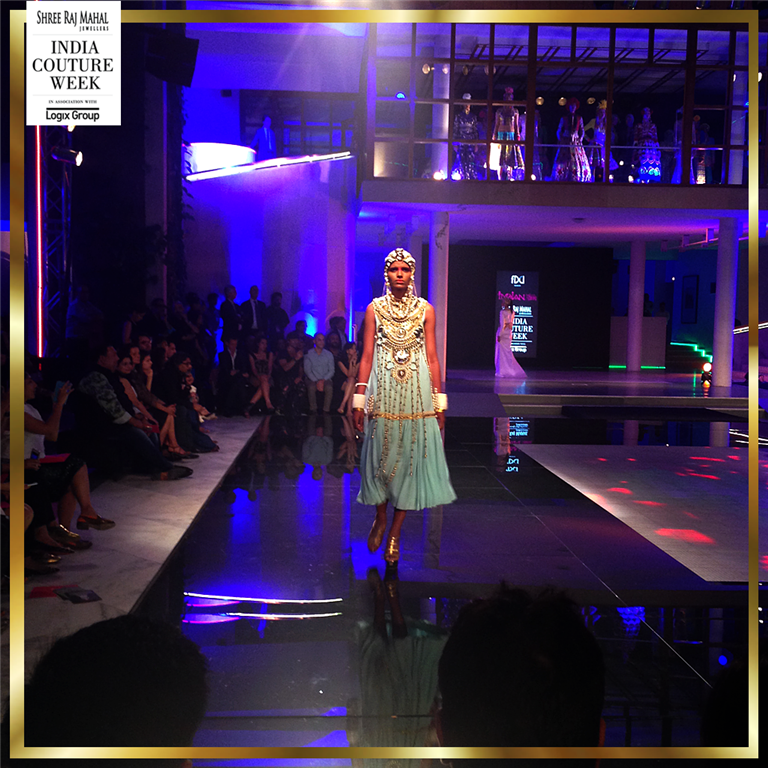 Sophistication was the key for his collection and the jewelry, the models looked like Greek Goddess figures. 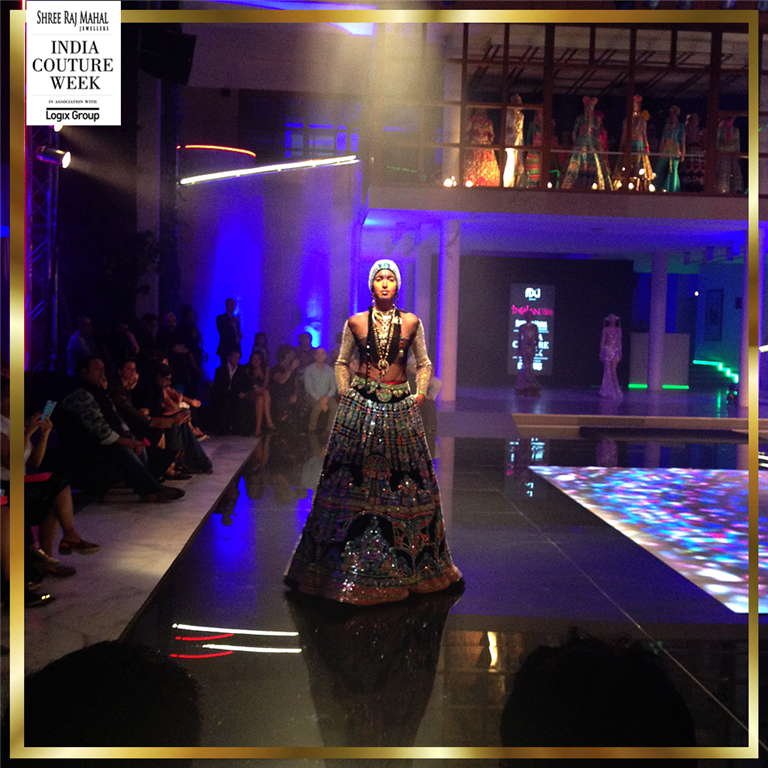 The lovely Shraddha Kapoor walked the ramp for him!Manish Arora presented a collection full or color and cheer with his classic fierceness. 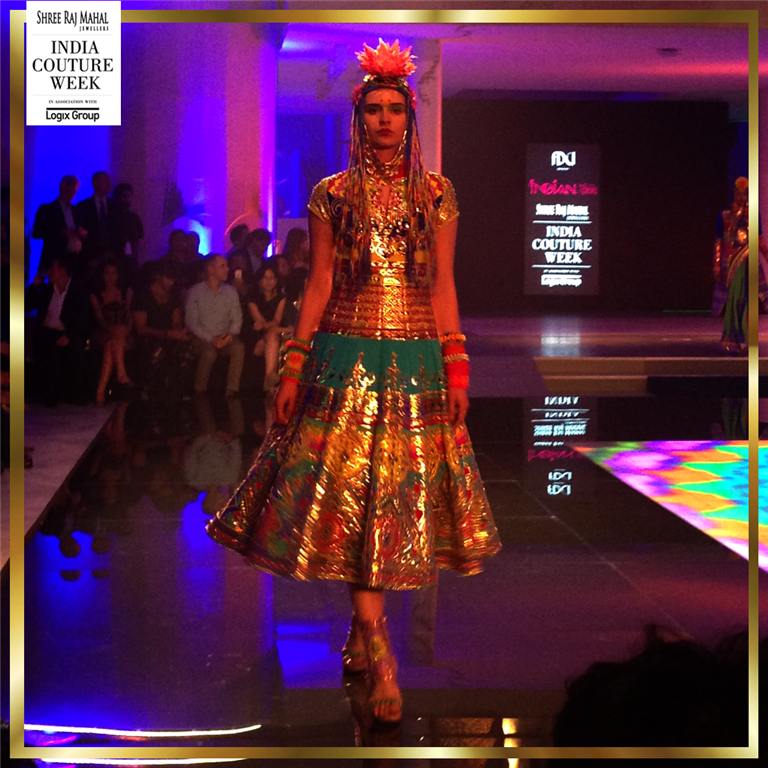 This Indian collection has slight hints of nomadic elements with oodles of character. 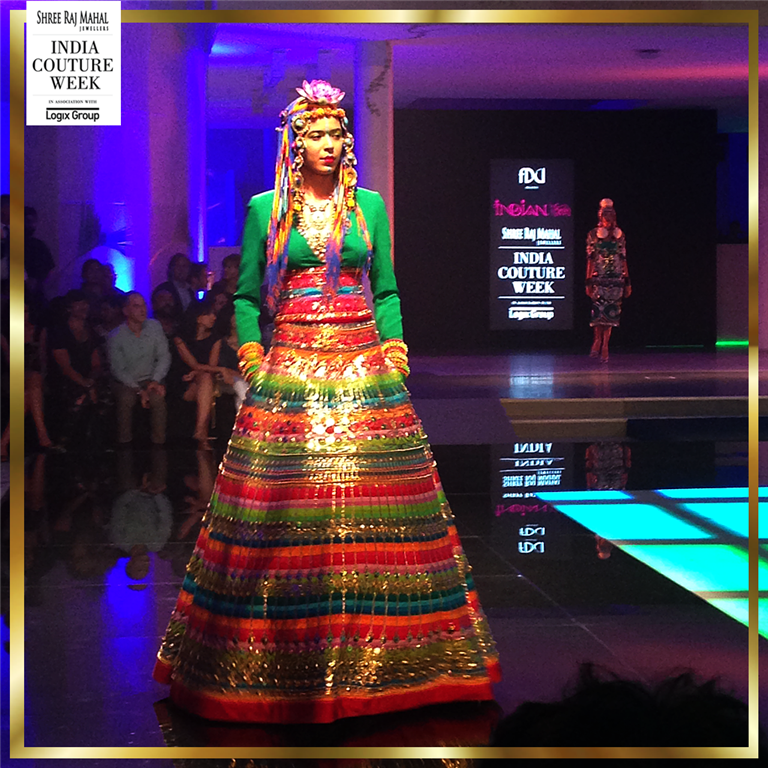 The strong feature of the ensemble were the head pieces apart from the color. All in all i am very impressed by both of them and extremely happy they didn’t let me down AGAIN!